I know not every mom drinks coffee. I also know that I am unashamed in my dependence on my morning brew and how essential it is to my well-being. Dramatic? Maybe but I love coffee and I don’t care who knows it! For the past couple years, I’ve been drinking my coffee black for the most part. Part of the reason is because I’m watching what I eat and cutting cream and sugar is an easy way to cut calories. But lately, as I am learning about my dairy sensitivity, I’ve been cutting way back on milk products in general. And while I do genuinely enjoy black coffee, I’d be lying if I said I didn’t want a rich and creamy drink once in a while. 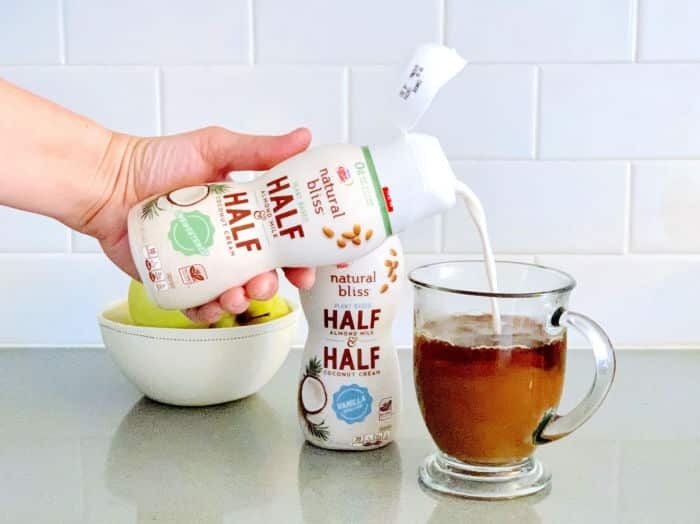 This is why I was excited to try Coffee mate® natural bliss® Plant Based Half & Half Unsweetened and share my thoughts with you. Here’s a true story. Every morning I make a pot of coffee, my husband grabs a cup on his way out the door, and I spend the next 3 hours drinking the rest. Did I mention I love coffee? It’s my morning routine and I wouldn’t trade it. 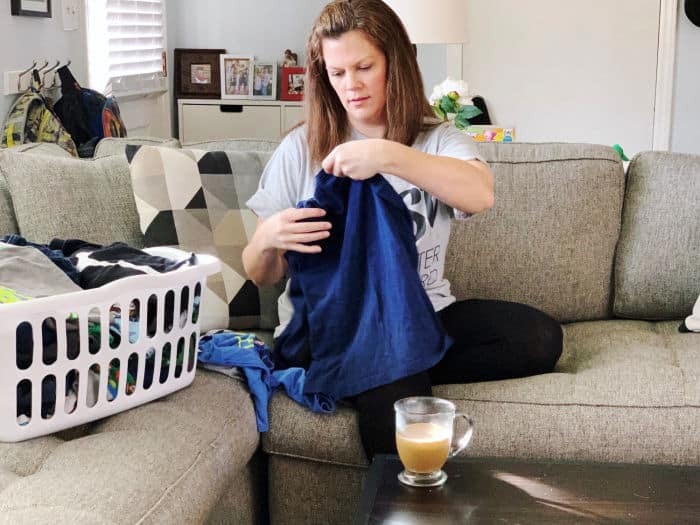 I work from home, meal-plan, do laundry, get kids ready and sometimes even read a book with my coffee by my side. I reheat it when I need to but I’m not one of those moms who forgets about her coffee. It’s too important. You’ve heard me talk about the Faster Way to Fat Loss plan I’m doing and a big part of it is the use of intermittent fasting along with reducing gluten and dairy. This means I don’t typically eat anything until around 11am each day. One of the first questions I had of course was, “can I still have my coffee?” And the answer is yes! In fact, using a plant based coffee creamer like Coffee mate® natural bliss® Plant Based Half & Half Unsweetened​ is completely fine. I love having a dairy-free option for those days when I just need a little something extra. Over the years, I’ve learned that I prefer a mix of coconut in my almond milk because on it’s own I find almond milk a little too watery. 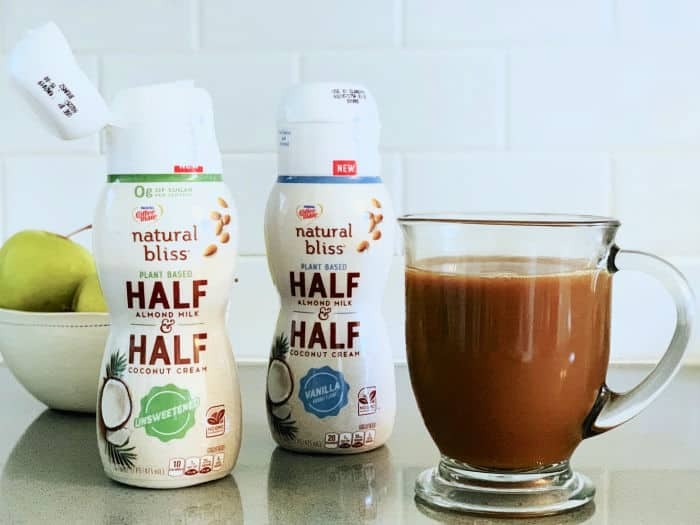 I wondered how Coffee mate® natural bliss® Plant Based Half & Half Unsweetened would measure up and I am happy to say I found it to be delightful with a rich texture that reminded me of my old creamer-loving days. This plant-based coffee creamer is all natural, gluten free, and has a non-GMO clean label. The Unsweetened flavor also has 0g of sugar, which is great for those low-carb days! 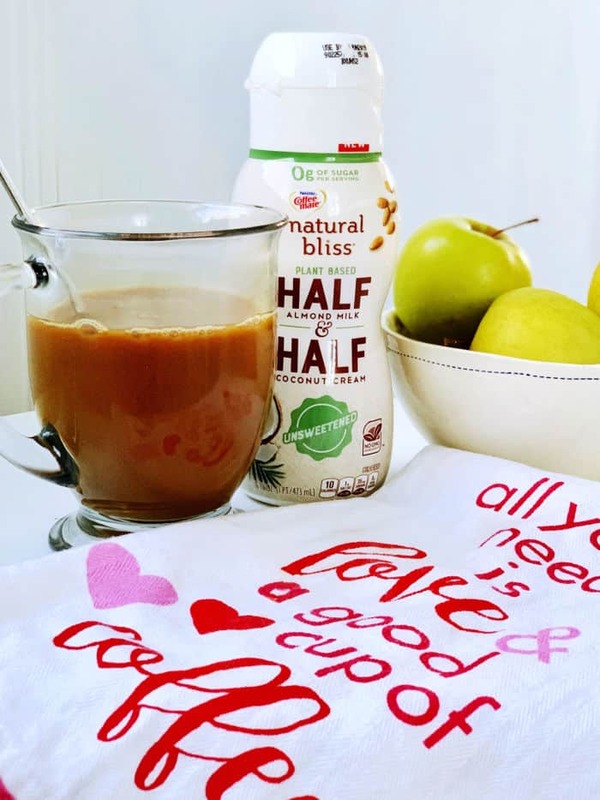 But don’t worry, if you are more of a flavor gal (or guy), there is also a Coffee mate® natural bliss® Plant Based Half & Half Vanilla flavor with only 2g of sugar if you want a little something more. You’ll want to check your local Walmart for both flavors in the refrigerator section. I found mine on the very top shelf so be sure to scan from top to bottom so you don’t miss it. I really am trying to work healthier foods into my life but let’s face it, if it’s not convenient for me I’m far less likely to use a product. I’m glad Walmart has stocked this so I can grab it when I’m there getting all our other groceries for the week. I love finding new products that I can feel good about. Flavor is important to me and if I’m going to stick with any kind of health transformation, it better taste good! I’m glad to have another product I can grab easily and feel good about. Want to try it? 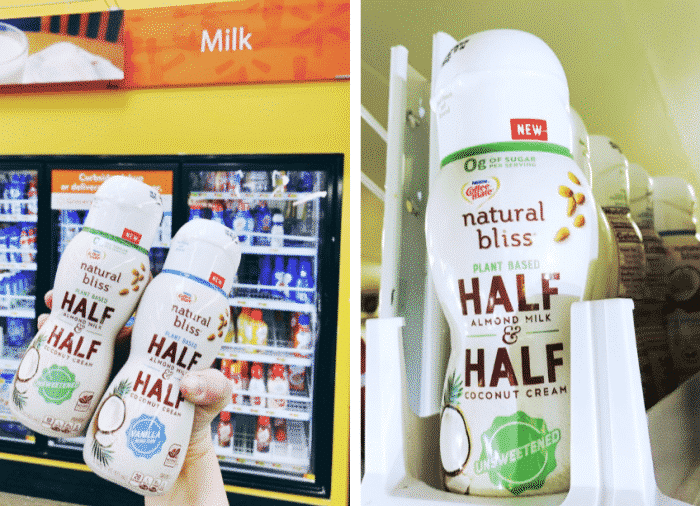 Make sure you grab this Ibotta offer to earn $1 towards any 1 Coffee mate® natural bliss® Plant Based Half & Half (16oz)! Hi! Just wondered if you knew the Weight Watchers value per serving of each one or could you post the nutritional info? Thanks!